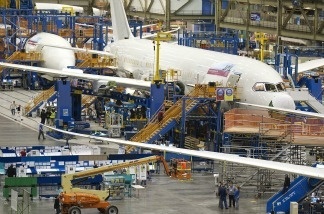 A Boeing 787 Dreamliner aircraft at the company's factory in Everett, Wash. The Commerce Department said Tuesday that stockpiles at the wholesale level declined 0.3 percent in February. That followed a 0.8 percent increase in January, which was revised lower.The decline was the first in eight months and the biggest since September 2011. 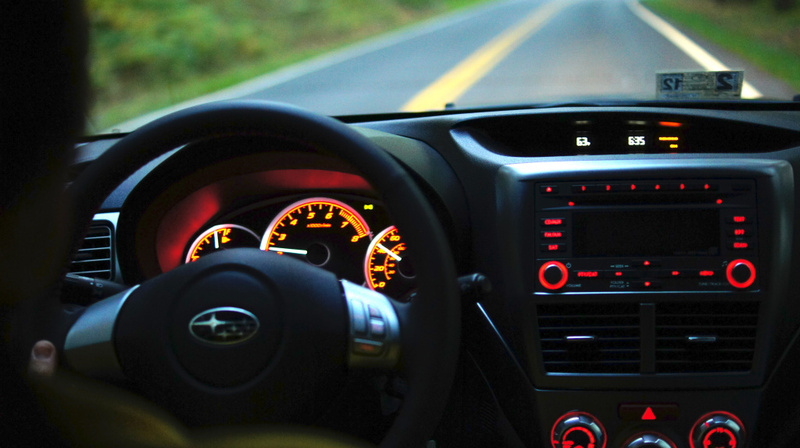 Farm products and gasoline led the drop. Agriculture stockpiles have fallen in recent months because of a drought in the Midwest. 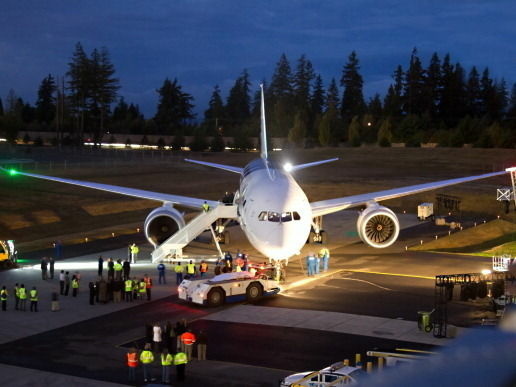 Boeing employees work on a Boeing 787 Dreamliner on one of the assembly lines February 14, 2011 at the company's factory in Everett, Washington. The Commerce Department said Wednesday that orders for long-lasting U.S. factory goods fell sharply last month, dragged lower by a steep drop in volatile commercial aircraft demand. But orders that reflect business investment plans rose slightly. 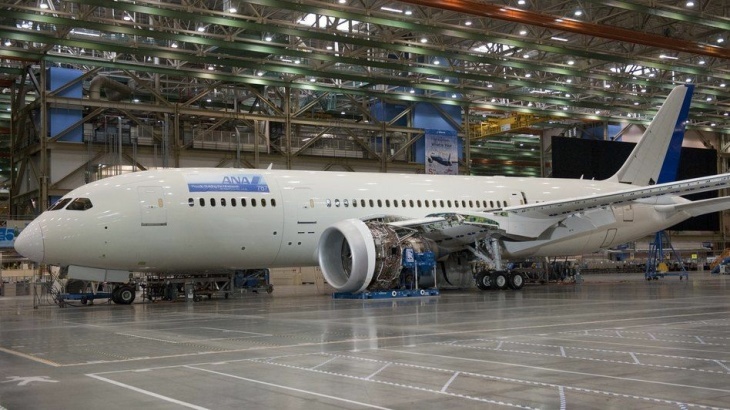 The Wall Street Journal reports that Boeing will resume deliveries of its 787 Dreamliners following a multi-month grounding and subsequent overhaul of the aircraft's lithium ion batteries. 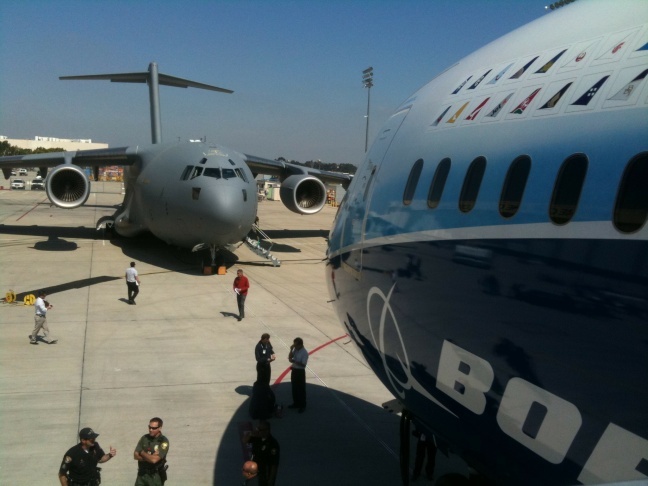 The jet was handed over to Japan's All Nippon Airways taking year-to-date deliveries to two as Boeing works reach its target of "more than 60" to airlines and lessors this year. 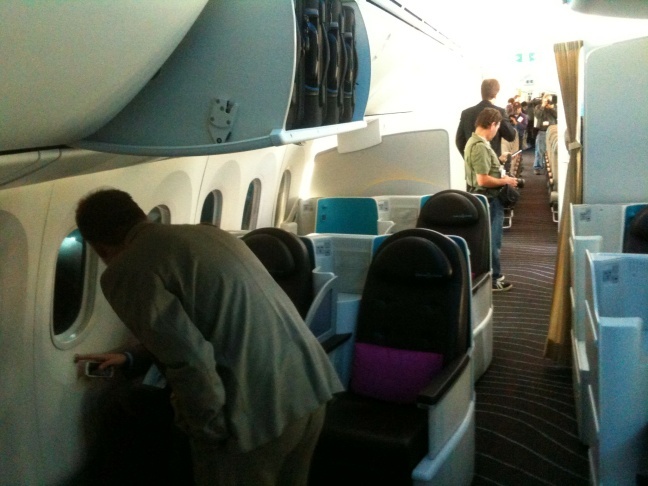 All Nippon, a unit of ANA Holdings Inc., was the 787's launch customer. 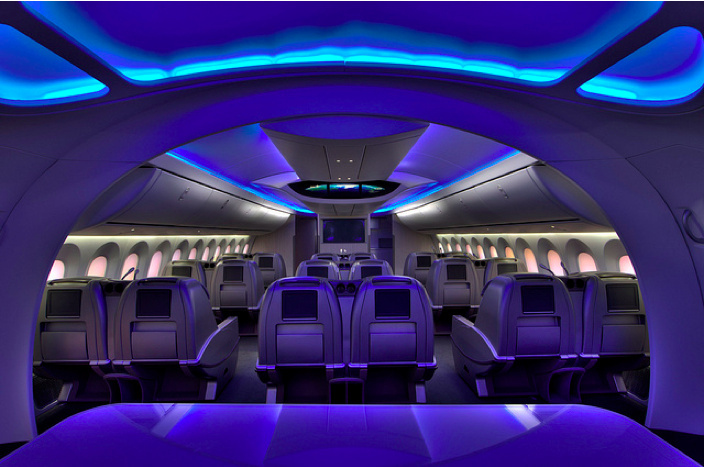 The latest delivery increases its Dreamliner fleet to 18, and the airline expects to resume commercial flights with the jets on June 1. On April 19, Boeing announced FAA approval of their battery system improvements, "giving airlines the green-light to begin modifying their fleet of 787s," reports WSJ. Approval of the improved 787 battery system was granted by the FAA after the agency conducted an extensive review of certification tests. The tests were designed to validate that individual components of the battery, as well as its integration with the charging system and a new enclosure, all performed as expected during normal operation and under failure conditions. 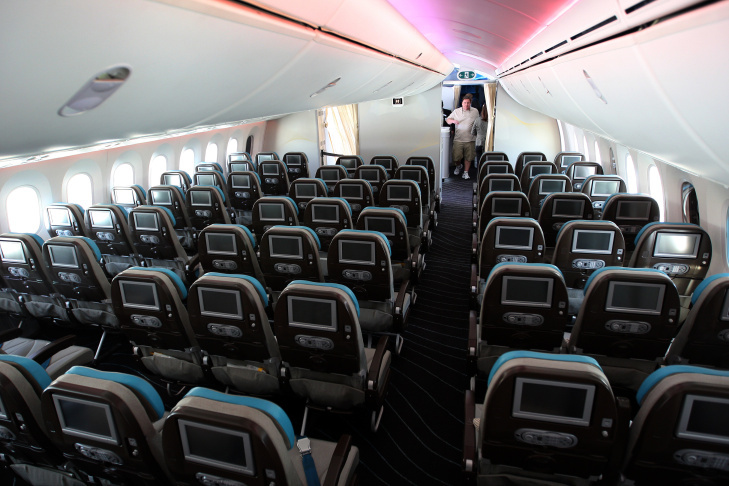 WSJ says Ethiopian Airlines was the first to restart commercial flight. Air India expects to be re-living the Dreamliner come Wednesday, and United Continental Holdings is looking to launch passengers on May 20.